Why Invest in Boole Microcap? I believe in the discipline of mastering the best of what other people have ever figured out. 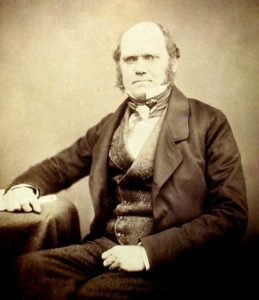 Darwin’s lesson is that even people who aren’t geniuses can outthink the rest of mankind if they develop certain thinking habits. In the spirit of Darwin and Munger, and with the goal of gaining a better understanding of human behavior, Bevelin read books in biology, psychology, neuroscience, physics, and mathematics. Bevelin took extensive notes. The result is the book, Seeking Wisdom: From Darwin to Munger. The brain is the most complicated material object in the known universe. If you attempted to count the number of connections, one per second, in the mantle of the brain (the cerebral cortex), you would finish counting 32 million years later. But that is not the whole story. The way the brain is connected—its neuroanatomical pattern—is enormously intricate. Within this anatomy a remarkable set of dynamic events take place in hundredths of a second and the number of levels controlling these events, from molecules to behavior, is quite large. Neurons can send signals—electrochemical pulses—to specific target cells over long distances. These signals are sent by axons, thin fibers that extend from neurons to other parts of the brain. Axons can be quite long. Some neurons emit electrochemical pulses constantly while other neurons are quiet most of the time. A single axon can have several thousand synaptic connections. When an electrochemical pulse travels along an axon and reaches a synapse, it causes a neurotransmitter (a chemical) to be released. The functions of these synapses are very diverse: some are excitatory (exciting the target cell); others are inhibitory; others work by activating second messenger systems that change the internal chemistry of their target cells in complex ways. A large number of synapses are dynamically modifiable; that is, they are capable of changing strength in a way that is controlled by the patterns of signals that pass through them. It is widely believed that activity-dependent modification of synapses is the brain’s primary mechanism for learning and memory. Most of the space in the brain is taken up by axons, which are often bundled together in what are called nerve fiber tracts. A myelinated axon is wrapped in a fatty insulating sheath of myelin, which serves to greatly increase the speed of signal propagation. (There are also unmyelinated axons). Myelin is white, making parts of the brain filled exclusively with nerve fibers appear as light-colored white matter, in contrast to the darker-colored grey matter that marks areas with high densities of neuron cell bodies. Genes, life experiences, and randomness determine how neurons connect. Also, everything that happens in the brain involves many areas at once (the left brain versus right brain distinction is not strictly accurate). This is part of why the brain is so flexible. There are different ways for the brain to achieve the same result. If certain connections help us interact with our environment, we use them more often than connections that don’t help us. Since we use them more often, they become strengthened. Evolution has given us preferences that help us classify what is good or bad. When these values are satisfied (causing either pleasure or less pain) through the interaction with our environment, these neural connections are strengthened. These values are reinforced over time because they give humans advantages for survival and reproduction in dealing with their environment. We do things that we associate with pleasure and avoid things that we associate with pain. The consequences of our actions reinforce certain behavior. If the consequences were rewarding, our behavior is likely to be repeated. What we consider rewarding is individual specific. 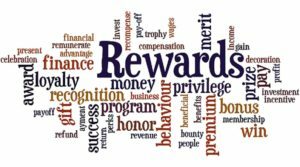 Rewards can be anything from health, money, job, reputation, family, status, or power. In all of these activities, we do what works. This is how we adapt. The environment selects our future behavior. Especially in a random environment like the stock market, it can be difficult to figure out what works and what doesn’t. We may make a good decision based on the odds, but get a poor outcome. Or we may make a bad decision based on the odds, but get a good outcome. Only over the course of many decisions can we tell if our investment process is probably working. Bias from mere association—automatically connecting a stimulus with pain or pleasure; including liking or disliking something associated with something bad or good. Includes seeing situations as identical because they seem similar. Also bias from Persian Messenger Syndrome—not wanting to be the carrier of bad news. Underestimating the power of incentives (rewards and punishment)—people repeat actions that result in rewards and avoid actions that they are punished for. Underestimating bias from own self-interest and incentives. Self-serving bias—overly positive view of our abilities and future. Includes over-optimism. Self-deception and denial—distortion of reality to reduce pain or increase pleasure. Includes wishful thinking. 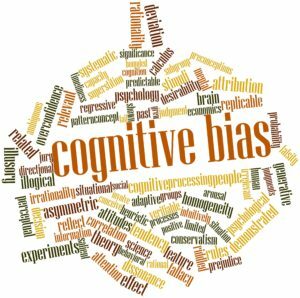 Bias from consistency tendency—being consistent with our prior commitments and ideas even when acting against our best interest or in the face of disconfirming evidence. Includes Confirmation Bias—looking for evidence that confirms our actions and beliefs and ignoring or distorting disconfirming evidence. Bias from deprival syndrome—strongly reacting (including desiring and valuing more) when something we like and have (or almost have) is (or threatens to be) taken away or “lost.” Includes desiring and valuing more what we can’t have or what is (or threatens to be) less available. Status quo bias and do-nothing syndrome—keeping things the way they are. Includes minimizing effort and a preference for default options. Impatience—valuing the present more highly than the future. Bias from envy and jealousy. Distortion by contrast comparison—judging and perceiving the absolute magnitude of something not by itself but based only on its difference to something else presented closely in time or space or to some earlier adaptation level. Also underestimating the consequences over time of gradual changes. Over-influence by vivid or the most recent information. Omission and abstract blindness—only seeing stimuli we encounter or that grabs our attention, and neglecting important missing information or the abstract. Includes inattentional blindness. Bias from reciprocation tendency—repaying in kind what others have done for or to us like favors, concessions, information, and attitudes. Bias from over-influence by liking tendency—believing, trusting, and agreeing with people we know and like. Includes bias from over-desire for liking and social acceptance and for avoiding social disapproval. Also bias from disliking—our tendency to avoid and disagree with people we don’t like. Bias from over-influence by social proof—imitating the behavior of many others or similar others. Includes crowd folly. Bias from over-influence by authority—trusting and obeying a perceived authority or expert. The Narrative Fallacy (Bevelin uses the term “Sensemaking”)—constructing explanations that fit an outcome. Includes being too quick in drawing conclusions. Also Hindsight Bias: Thinking events that have happened were more predictable than they were. Reason-respecting—complying with requests merely because we’ve been given a reason. Includes underestimating the power in giving people reasons. Believing first and doubting later—believing what is not true, especially when distracted. Memory limitations—remembering selectively and wrong. Includes influence by suggestions. Do-something syndrome—acting without a sensible reason. Mental confusion from say-something syndrome—feeling a need to say something when we have nothing to say. Emotional arousal—making hasty judgments under the influence of intense emotions. Includes exaggerating the emotional impact of future events. Mental confusion from physical or psychological pain, and the influence of chemicalsa li. Bias from over-influence by the combined effect of many psychological tendencies operating together. Bevelin notes that his explanations for the 28 reasons for misjudgments is based on work by Charles Munger, Robert Cialdini, Richard Thaler, Robyn Dawes, Daniel Gilbert, Daniel Kahneman, and Amos Tversky. All are psychologists except for Thaler (economist) and Munger (investor). Association can influence the immune system. One experiment studied food aversion in mice. Mice got saccharin-flavored water (saccharin has incentive value due to its sweet taste) along with a nausea-producing drug. Would the mice show signs of nausea the next time they got saccharin water alone? Yes, but the mice also developed infections. It was known that the drug in addition to producing nausea, weakened the immune system, but why would saccharin alone have this effect? The mere paring of the saccharin with the drug caused the mouse immune system to learn the association. Therefore, every time the mouse encountered the saccharin, its immune system weakened making the mouse more vulnerable to infections. If someone brings us bad news, we tend to associate that person with the bad news—and dislike them—even if the person didn’t cause the bad news. I think I’ve been in the top 5% of my age cohort all my life in understanding the power of incentives, and all my life I’ve underestimated it. Never a year passes that I don’t get some surprise that pushes my limit a little farther. From all business, my favorite case on incentives is Federal Express. The heart and soul of their system—which creates the integrity of the product—is having all their airplanes come to one place in the middle of the night and shift all the packages from plane to plane. If there are delays, the whole operation can’t deliver a product full of integrity to Federal Express customers. And it was always screwed up. They could never get it done on time. They tried everything—moral suasion, threats, you name it. And nothing worked. Finally, somebody got the idea to pay all these people not so much an hour, but so much a shift—and when it’s all done, they can all go home. Well, their problems cleared up over night. People can learn the wrong incentives in a random environment like the stock market. A good decision based on the odds may yield a bad result, while a bad decision based on the odds may yield a good result. People tend to become overly optimistic after a success (even if it was good luck) and overly pessimistic after a failure (even if it was bad luck). If they make unprofitable loans, bankers may be rewarded for many years while the consequences of the bad loans may not occur for a long time. When designing a system, careful attention must be paid to incentives. Bevelin notes that a new program was put in place in New Orleans: districts that showed improvement in crime statistics would receive rewards, while districts that didn’t faced cutbacks and firings. As a result, in one district, nearly half of all serious crimes were re-classified as minor offences and never fully investigated. We tend to overestimate our abilities and future prospects when we are knowledgeable on a subject, feel in control, or after we’ve been successful. When we fail, we blame external circumstances or bad luck. When others are successful, we tend to credit their success to luck and blame their failures on foolishness. When our investments turn into losers, we had bad luck. When they turn into winners, we are geniuses. This way we draw the wrong conclusions and don’t learn from our mistakes. We also underestimate luck and randomness in outcomes. Nothing is easier than self-deceit. For what each man wishes, that he also believes to be true. People have a strong tendency to believe what they want to believe. People prefer comforting illusions to painful truths. Once we’ve made a commitment—a promise, a choice, taken a stand, invested time, money, or effort—we want to remain consistent. We want to feel that we’ve made the right decision. And the more we have invested in our behavior the harder it is to change. The more time, money, effort, and pain we invest in something, the more difficulty we have at recognizing a mistaken commitment. We don’t want to face the prospect of a big mistake. For instance, as the Vietnam War became more and more a colossal mistake, key leaders found it more and more difficult to recognize the mistake and walk away. The U.S. could have walked away years earlier than it did, which would have saved a great deal of money and thousands of lives. What the human being is best at doing is interpreting all new information so that their prior conclusions remain intact. When something we like is (or threatens to be) taken away, we often value it higher. Take away people’s freedom, status, reputation, money, or anything they value, and they get upset… The more we like what is taken away or the larger the commitment we’ve made, the more upset we become. This can create hatreds, revolts, violence, and retaliations. Fearing deprival, people will be overly conservative or will engage in cover-ups. A good value investor is wrong roughly 40 percent of the time. However, due to deprival syndrome and loss aversion—the pain of a loss is about 2 to 2.5 times greater than the pleasure of an equivalent gain—investors have a hard time admitting their mistakes and moving on. Admitting a mistake means accepting a loss of money and also recognizing our own fallibility. Furthermore, deprival syndrome makes us keep trying something if we’ve just experienced a series of near misses. We feel that “we were so close” to getting some reward that we can’t give up now, even if the reward may not be worth the expected cost. Finally, the harder it is to get something, the more value we tend to place on it. We feel worse about a harm or loss if it results from our action than if it results from our inaction. We prefer the default option—what is selected automatically unless we change it. However, as Bevelin points out, doing nothing is still a decision and the cost of doing nothing could be greater than the cost of taking an action. In countries where being an organ donor is the default choice, people strongly prefer to be organ donors. But in countries where not being an organ donor is the default choice, people prefer not to be organ donors. In each case, most people simply go with the default option—the status quo. But society is better off if most people are organ donors. We value the present more than the future. We often seek pleasure today at the cost of a potentially better future. It’s important to understand that pain and sacrifice today—if done for the right reasons—can lead to greater happiness in the future. Charlie Munger and Warren Buffett often point out that envy is a stupid sin because—unlike other sins like gluttony—there’s no upside. Also, jealousy is among the top three motives for murder. It’s best to set goals and work towards them without comparing ourselves to others. Partly by chance, there are always some people doing better and some people doing worse. The classic demonstration of contrast comparison is to stick one hand in cold water and the other hand in warm water. Then put both hands in a buck with room temperature water. Your cold hand will feel warm while your warm hand will feel cold. We judge stimuli by differences and changes and not absolute magnitudes. For example, we evaluate stimuli like temperature, loudness, brightness, health, status, or prices based on their contrast or difference from a reference point (the prior or concurrent stimuli or what we have become used to). This reference point changes with new experiences and context. How we value things depends on what we compare them with. Salespeople, after selling the main item, often try to sell add-ons, which seem cheap by comparison. If you buy a car for $50,000, then adding an extra $1,000 for leather doesn’t seem like much. If you buy a computer for $1,500, then adding an extra $50 seems inconsequential. The same thing may appear attractive when compared to less attractive things and unattractive when compared to more attractive things. For example, studies show that a person of average attractiveness is seen as less attractive when compared to more attractive others. One trick some real estate agents use is to show the client a terrible house at an absurdly high price first, and then show them a merely mediocre house at a somewhat high price. The agent often makes the sale. Munger has remarked that some people enter into a bad marriage because their previous marriage was terrible. These folks make the mistake of thinking that what is better based on their own limited experience is the same as what is better based on the experience of many different people. Another issue is that something can gradually get much worse over time, but we don’t notice it because each increment is small. It’s like the frog in water where the water is slowly brought to the boiling point. For instance, the behavior of some people may get worse and worse and worse. But we fail to notice because the change is too gradual. Daniel Kahneman and Amos Tversky did one experiment where they spun a wheel of fortune, but they had secretly programmed the wheel so that it would stop on 10 or 65. After the wheel stopped, participants were asked to estimate the percentage of African countries in the UN. Participants who saw “10” on the wheel guessed 25% on average, while participants who saw “65” on the wheel guessed 45% on average, a huge difference. Those are just two experiments out of many. The anchoring effect is “one of the most reliable and robust results of experimental psychology,” says Kahneman. Furthermore, Montier observes that the anchoring effect is one reason why people cling to financial forecasts, despite the fact that most financial forecasts are either wrong, useless, or impossible to time. When faced with the unknown, people will grasp onto almost anything. So it is little wonder that an investor will cling to forecasts, despite their uselessness. The more dramatic, salient, personal, entertaining, or emotional some information, event, or experience is, the more influenced we are. For example, the easier it is to imagine an event, the more likely we are to think that it will happen. We are easily influenced when we are told stories because we relate to stories better than to logic or fact. We love to be entertained. Information we receive directly, through our eyes or ears has more impact than information that may have more evidential value. A vivid description from a friend or family member is more believable than true evidence. Statistical data is often overlooked. Studies show that jurors are influenced by vivid descriptions. Lawyers try to present dramatic and memorable testimony. We see the available information. We don’t see what isn’t reported. Missing information doesn’t draw our attention. We tend not to think about other possibilities, alternatives, explanations, outcomes, or attributes. When we try to find out if one thing causes another, we only see what happened, not what didn’t happen. We see when a procedure works, not when it doesn’t work. When we use checklists to find out possible reasons for why something doesn’t work, we often don’t see that what is not on the list in the first place may be the reason for the problem. Often we don’t see things right in front of us if our attention is focused elsewhere. The automatic tendency of humans to reciprocate both favors and disfavors has long been noticed as it is in apes, monkeys, dogs, and many less cognitively gifted animals. The tendency facilitates group cooperation for the benefit of members. And the very best part of human life probably lies in relationships of affection wherein parties are more interested in pleasing than being pleased—a not uncommon outcome in display of reciprocate-favor tendency. …To the extent the feeling of guilt has an evolutionary base, I believe the most plausible cause is the mental conflict triggered in one direction by reciprocate-favor tendency and in the opposite direction by reward superresponse tendency pushing one to enjoy one hundred percent of some good thing… And if you, like me… believe that, averaged out, feelings of guilt do more good than harm, you may join in my special gratitude for reciprocate-favor tendency, no matter how unpleasant you find feelings of guilt. One very practical consequence of Liking/Loving Tendency is that it acts as a conditioning device that makes the liker or lover tend (1) to ignore faults of, and comply with wishes of, the object of his affection, (2) to favor people, products, and actions merely associated with the object of his affection [this is also due to Bias from Mere Association] and (3) to distort other facts to facilitate love. We’re naturally biased, so we have to be careful in some situations. On the other hand, Munger points out that loving admirable persons and ideas can be very beneficial. …a man who is so constructed that he loves admirable persons and ideas with a special intensity has a huge advantage in life. This blessing came to both Buffett and myself in large measure, sometimes from the same persons and ideas. One common, beneficial example for us both was Warren’s uncle, Fred Buffett, who cheerfully did the endless grocery-store work that Warren and I ended up admiring from a safe distance. Even now, after I have known so many other people, I doubt if it is possible to be a nicer man than Fred Buffett was, and he changed me for the better. If you tell me who your heroes are, I’ll tell you how you’re gonna turn out. It’s really important in life to have the right heroes. I’ve been very lucky in that I’ve probably had a dozen or so major heroes. And none of them have ever let me down. You want to hang around with people that are better than you are. You will move in the direction of the crowd that you associate with. Disliking: Munger notes that Switzerland and the United States have clever political arrangements to “channel” the hatreds and dislikings of individuals and groups into nonlethal patterns including elections. But the dislikings and hatreds never go away completely… And we also get the extreme popularity of very negative political advertising in the United States. Disliking/Hating Tendency also acts as a conditioning device that makes the disliker/hater tend to (1) ignore virtues in the object of dislike, (2) dislike people, products, and actions merely associated with the object of dislike, and (3) distort other facts to facilitate hatred. Psychology professors love Social-Proof Tendency because in their experiments it causes ridiculous results. For instance, if a professor arranges for some stranger to enter an elevator wherein ten ‘compliance practitioners’ are all standing so that they face the rear of the elevator, the stranger will often turn around and do the same. Of course, like the other tendencies, Social Proof has an evolutionary basis. If the crowd was running in one direction, typically your best response was to follow. And in the highest reaches of business, it is not at all uncommon to find leaders who display followership akin to that of teenagers. If one oil company foolishly buys a mine, other oil companies often quickly join in buying mines. So also if the purchased company makes fertilizer. Both of these oil company buying fads actually bloomed, with bad results. Of course, it is difficult to identify and correctly weigh all the possible ways to deploy the cash flow of an oil company. So oil company executives, like everyone else, have made many bad decisions that were triggered by discomfort from doubt. Going along with social proof provided by the action of other oil companies ends this discomfort in a natural way. Because both bad and good behavior are made contagious by Social-Proof Tendency, it is highly important that human societies (1) stop any bad behavior before it spreads and (2) foster and display all good behavior. …Such cases are also given attention in the simulator training of copilots who have to learn to ignore certain really foolish orders from boss pilots because boss pilots will sometimes err disastrously. Even after going through such a training regime, however, copilots in simulator exercises will too often allow the simulated plane to crash because of some extreme and perfectly obvious simulated error of the chief pilot. When you think of the long and gloomy history of man, you will find more hideous crimes have been committed in the name of obedience than have ever been committed in the name of rebellion. The narrative fallacy addresses our limited ability to look at sequences of facts without weaving an explanation into them, or, equivalently, forcing a logical link, an arrow of relationship, upon them. Explanations bind facts together. They make them all the more easily remembered; they help them make more sense. Where this propensity can go wrong is when it increases our impression of understanding. The narrative fallacy is central to many of the biases and misjudgments mentioned by Charlie Munger. (In his great book, Thinking, Fast and Slow, Daniel Kahneman discusses the narrative fallacy as a central cognitive bias.) The human brain, whether using System 1 (intuition) or System 2 (logic), always looks for or creates logical coherence among random data. Often System 1 is right when it assumes causality; thus, System 1 is generally helpful, thanks to evolution. Furthermore, System 2, by searching for underlying causes or coherence, has, through careful application of the scientific method over centuries, developed a highly useful set of scientific laws by which to explain and predict various phenomena. The trouble comes when the data or phenomena in question are highly random—or inherently unpredictable (at least for the time being). In these areas, System 1 makes predictions that are often very wrong. And even System 2 assumes necessary logical connections when there may not be any—at least, none that can be discovered for some time. Note: The eighteenth century Scottish philosopher (and psychologist) David Hume was one of the first to clearly recognize the human brain’s insistence on always assuming necessary logical connections in any set of data or phenomena. If our goal is to explain certain phenomena scientifically, then we have to develop a testable hypothesis about what will happen (or what will happen with probability x) under specific, relevant conditions. If our hypothesis can’t accurately predict what will happen under specific, relevant conditions, then our hypothesis is not a valid scientific explanation. We are more likely to comply with a request if people give us a reason—even if we don’t understand the reason or if it’s wrong. In one experiment, a person approaches people standing in line waiting to use a copy machine and says, “Excuse me, I have 5 pages. May I use the Xerox machine because I have to make some copies?” Nearly everyone agreed. Bevelin notes that often the word “because” is enough to convince someone, even if no actual reason is given. We are not natural skeptics. We find it easy to believe but difficult to doubt. Doubting is active and takes effort. Studies show that in order to understand some information, we must first accept it as true… We first believe all information we understand and only afterwards and with effort do we evaluate, and if necessary, un-believe it. Distraction, fatigue, and stress tend to make us less likely to think things through and more likely to believe something that we normally might doubt. If falsehood, like truth, had only one face, we would be in better shape. For we would take as certain the opposite of what the liar said. But the reverse of truth has a hundred thousand shapes and a limitless field. Our memory is selective. We remember certain things and distort or forget others. Every time we recall an event, we reconstruct our memories. We only remember fragments of our real past experiences. Fragments influenced by what we have learned, our experiences, beliefs, mood, expectations, stress, and biases. We remember things that are dramatic, fearful, emotional, or vivid. But when it comes to learning in general—as opposed to remembering—we learn better when we’re in a positive mood. Studies show that it is easy to get a witness to believe they saw something when they didn’t. Merely let some time pass between their observation and the questioning. Then give them false or emotional information about the event. Activity is not the same thing as results. Most people feel impelled by boredom or hubris to be active. But many things are not worth doing. If we’re long-term investors, then nearly all of the time the best thing for us to do is nothing at all (other than learn). This is especially true if we’re tired, stressed, or emotional. Many people have a hard time either saying nothing or saying, “I don’t know.” But it’s better for us to say nothing if we have nothing to say. It’s better to admit “I don’t know” rather than pretend to know. We saw under loss aversion and deprival that we put a higher value on things we already own than on the same things if we don’t own them. Sadness reverses this effect, making us willing to accept less money to sell something than we would pay to buy it. It’s also worth repeating: If we feel emotional, it’s best to defer important decisions whenever possible. A study showed that business executives who are committed to their work and who have a positive attitude towards challenges—viewing them as opportunities for growth—do not get sick from stress. Business executives who lack such commitment or who lack a positive attitude towards challenges are more likely to get sick from stress. Happiness and freedom begin with a clear understanding of one principle: Some things are within our control, and some things are not. It is only after you have faced up to this fundamental rule and learned to distinguish between what you can and can’t control that inner tranquility and outer effectiveness become possible. People struggle to think clearly when they are in pain or when they’re drunk or high. Apart from incentive-caused bias, liking, and social approval, what are some other tendencies that operate here? Authority—the CEO is the authority figure whom directors tend to trust and obey. He may also make it difficult for those who question him. Social proof—the CEO is doing dumb things but no one else is objecting so all directors collectively stay quiet—silence equals consent; illusions of the group as invulnerable and group pressure (loyalty) may also contribute. Reciprocation—unwelcome information is withheld since the CEO is raising the director fees, giving them perks, taking them on trips or letting them use the corporate jet. Association and Persian Messenger Syndrome—a single director doesn’t want to be the carrier of bad news. Self-serving tendencies and optimism—feelings of confidence and optimism: many boards also select new directors who are much like themselves; that share similar ideological viewpoints. Deprival—directors don’t want to lose income and status. Respecting reasons no matter how illogical—the CEO gives them reasons. Believing first and doubting later—believing what the CEO says even if not true, especially when distracted. Consistency—directors want to be consistent with earlier decisions—dumb or not. Failing to consider that actions have both intended and unintended consequences. Includes failing to consider secondary and higher order consequences and inevitable implications. Failing to consider the whole system in which actions and reactions take place, the important factors that make up the system, their relationships and effects of changes on system outcome. Failing to consider the likely reaction of others—what is best to do may depend on what others do. Failing to consider the implications of winning a bid—overestimating value and paying too much. Overestimating predictive ability or using unknowable factors in making predictions. Failing to consider that changes in size or time influence form, function, and behavior. Failing to consider breakpoints, critical thresholds, or limits. Failing to consider constraints—that a system’s performance is constrained by its weakest link. Not understanding what causes desired results. Believing cause resembles its effect—that a big effect must have a big or complicated cause. Underestimating the influence of randomness in bad or good outcomes. Mistaking an effect for its cause. Includes failing to consider that many effects may originate from one common root cause. Attributing outcome to a single cause when there are multiple causes. Failing to consider that an outcome may be consistent with alternative explanations. Drawing conclusions about causes from selective data. Includes identifying the wrong cause because it seems the obvious one based on a single observed effect. Also failing to consider information or evidence that is missing. Not comparing the difference in conditions, behavior, and factors between negative and positive outcomes in similar situations when explaining an outcome. Looking at isolated numbers—failing to consider relationships and magnitudes. Includes not using basic math to count and quantify. Also not differentiating between relative and absolute risk. Underestimating the effect of exponential growth. Underestimating the time value of money. Underestimating risk exposure in situations where relative frequency (or comparable data) and/or magnitude of consequences is unknown or changing over time. Underestimating the number of possible outcomes for unwanted events. Includes underestimating the probability and severity of rate or extreme events. Overestimating the chance of rare but widely publicized and highly emotional events and underestimating the chance of common but less publicized events. Failing to consider both probabilities and consequences (expected value). Believing events where chance plays a role are self-correcting—that previous outcomes of independent events have predictive value in determining future outcomes. Believing one can control the outcome of events where chance is involved. Judging financial decisions by evaluating gains and losses instead of final state of wealth and personal value. Failing to consider the consequences of being wrong. Overestimating the probability of scenarios where all of a series of steps must be achieved for a wanted outcome. Also underestimating opportunities for failure and what normally happens in similar situations. Underestimating the probability of systems failure—scenarios composed of many parts where system failure can happen one way or another. Includes failing to consider that time horizon changes probabilities. Also assuming independence when it is not present and/or assuming events are equally likely when they are not. Not adding a factor of safety for known and unknown risks. Size of factor depends on the consequences of failure, how well the risks are understood, systems characteristics, and degree of control. Underestimating that surprises and improbable events happen, somewhere, sometime, to someone, if they have enough opportunities (large enough size or time) to happen. Looking for meaning, searching for causes, and making up patterns for chance events, especially events that have emotional implications. Failing to consider cases involving the absence of a cause or effect. Overweighing individual case evidence and under-weighing the prior probability (probability estimate of an event before considering new evidence that might change it) considering for example, the base rate (relative frequency of an attribute or event in a representative comparison group), or evidence from many similar cases. Includes failing to consider the probability of a random match, and the probability of a false positive and a false negative. Also failing to consider a relevant comparison population that bears the characteristic we are seeking. Failing to consider changes in factors, context, or conditions when using past evidence to predict likely future outcomes. Includes not searching for explanations to why a past outcome happened, what is required to make the past record continue, and what forces can change it. Overestimating evidence from a single case or small or unrepresentative samples. Only seeing positive outcomes—paying little or no attention to negative outcomes and prior probabilities. Failing to consider variability of outcomes and their frequency. Failing to consider regression—in any series of events where chance is involved, unique outcomes tend to regress back to the average outcome. This outperformance increases significantly by focusing on cheap micro caps. Performance can be further boosted by isolating cheap microcap companies that show improving fundamentals. We rank microcap stocks based on these and similar criteria. There are roughly 10-20 positions in the portfolio. The size of each position is determined by its rank. Typically the largest position is 15-20% (at cost), while the average position is 8-10% (at cost). Positions are held for 3 to 5 years unless a stock approaches intrinsic value sooner or an error has been discovered. The mission of the Boole Fund is to outperform the S&P 500 Index by at least 5% per year (net of fees) over 5-year periods. We also aim to outpace the Russell Microcap Index by at least 2% per year (net). The Boole Fund has low fees. If you are interested in finding out more, please e-mail me or leave a comment.